On this page we provide links to information about our organization, related topics, or sources that simply provide entertainment. Please contact us if you would like to include any other related links. 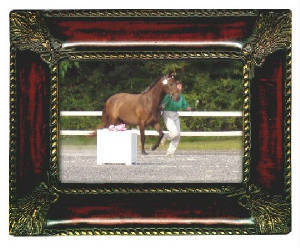 Casurina showing at Fair Hill, photo by Melanie Adams. Lipizzans are born dark and lighten as they grow older; Casurina is a three year old in this picture.